Confidence, excellence and innovation are the keys to securing the “big prize” of continuing significant investment in the European chemicals industry, a meeting of sector leaders has heard. 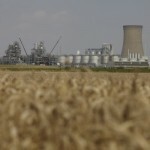 Despite significant challenges, including high energy prices and extensive regulation, the industry in Europe has a track record of securing and delivering huge investments and can continue to be a major economic force, members of the European Chemical Site Promotion Platform (ECSPP) were told. 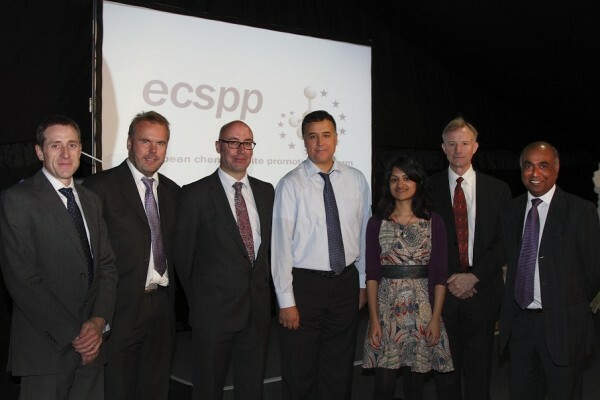 The ECSPP, which promotes Europe as location for chemicals investment, held its annual symposium at BP-managed Saltend Chemicals Park, east of Hull, with industry experts addressing the question: “Does the European chemicals industry have a future?” The event coincided with celebrations to mark 100 years of industrial operations at the Saltend site. ECSPP members include chemicals clusters, leading businesses in the industry and ports operators. President Patrick Pogue, who is also Business Development Manager at the Sembcorp chemicals cluster on Teesside, said the industry in Europe had many advantages. “Our members’ sites have the facilities, capability, skills, infrastructure and know-how to drive and deliver investments and we have a track record of doing that,” he said. 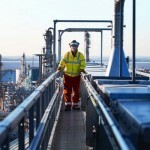 Dr Chris Bowlas, Director of Strategy and Transformation for BP Chemicals, said the success of Saltend Chemicals Park in developing into a “world-class site for world-class businesses” illustrated the benefits of collaboration. A million tonnes of chemicals are manufactured on site annually, with 80% of production exported to Europe and beyond. “It is down to all of us – at European, national, regional and local level – to create the environment that will make the European chemicals industry a success over the long term,” Dr Bowlas said. “In Europe we have a track record of safe, reliable production, operation and innovation. In Europe we have over 350 million relatively wealthy consumers and market growth of around 4% a year, so there is a large, sophisticated, wealthy and growing market. Dr Moncef Hadhri, Chief Economist of CEFIC, the European Chemical Industry Council, said the industry in Europe contributed 18% of the world’s chemicals sales, sustained four million jobs and delivered a trade surplus of 48 billion euros, but was losing market share worldwide due to the costs of energy and raw materials. Excessive regulation also added to the pressures on the industry, he said. That message was underlined by Sravya Rao, Assistant Director, Chemicals, in the Department for Business, Innovation and Skills (BIS), who said the Government was committed to the industry. Kishor Tailor, Chief Executive of the Humber Local Enterprise Partnership (LEP), said chemicals was one of the LEP’s priority sectors, employing 20,000 people within the region, and a key part of the Humber’s “Energy Estuary” proposition. The event also heard how innovation in technology and the development of renewable energy were key opportunities offering competitive advantage to the industry in Europe. Andy Bulman, Operations Director of Vivergo Fuels, a joint venture of BP, AB Sugar and DuPont, said the investment of £350m to create one of Europe’s largest bio-refineries at Saltend showed how chemicals clusters could be at the forefront of renewable energy developments. Dr Mark Howard, Vice President of BP Chemicals’ Conversion Technology Centre, most of which is sited at Saltend, said technology developed at the site was employed across the world, demonstrating how Europe can “compete through innovation”.